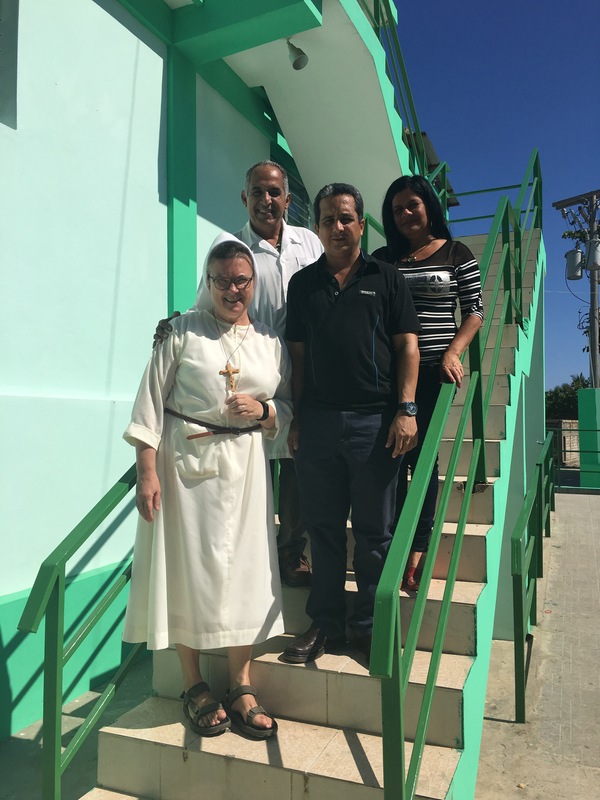 On Tuesday, March 28, we were blest with some new visitors, who actually are our neighbors a few miles away in Cayes, Jacmel. 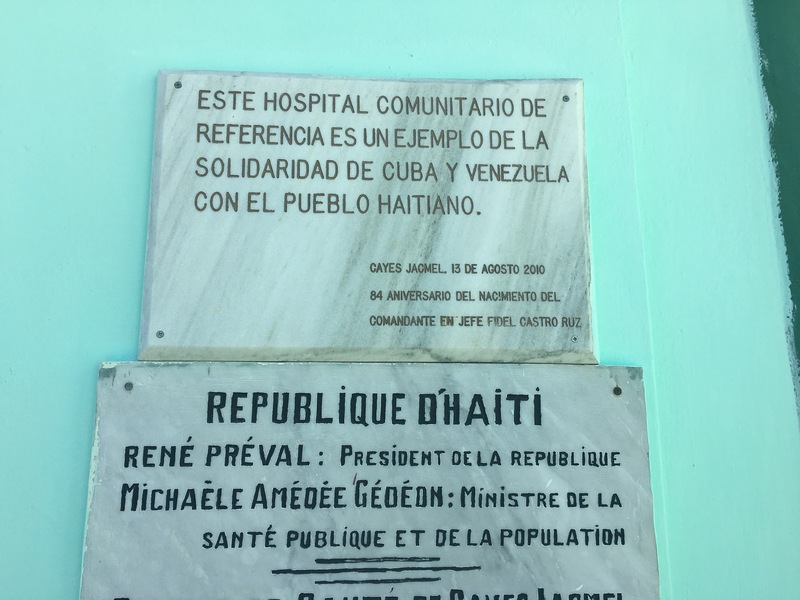 They were Cuban doctors from the Cuban Hospital in Cayes, Jacmel. 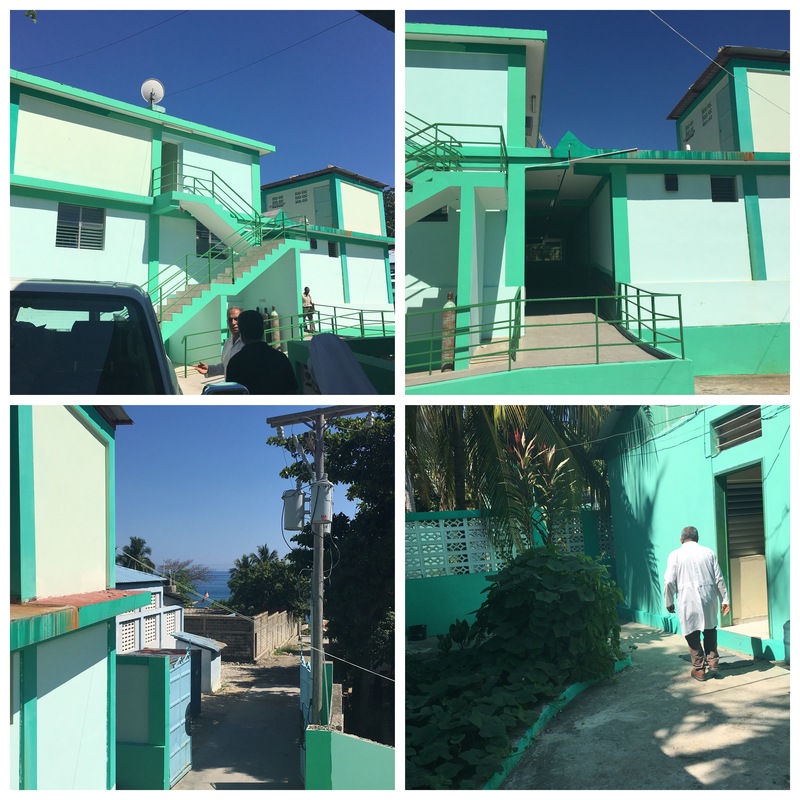 During our past four years working with our medical clinic, we have heard a lot about the hospital and its services for the poor. 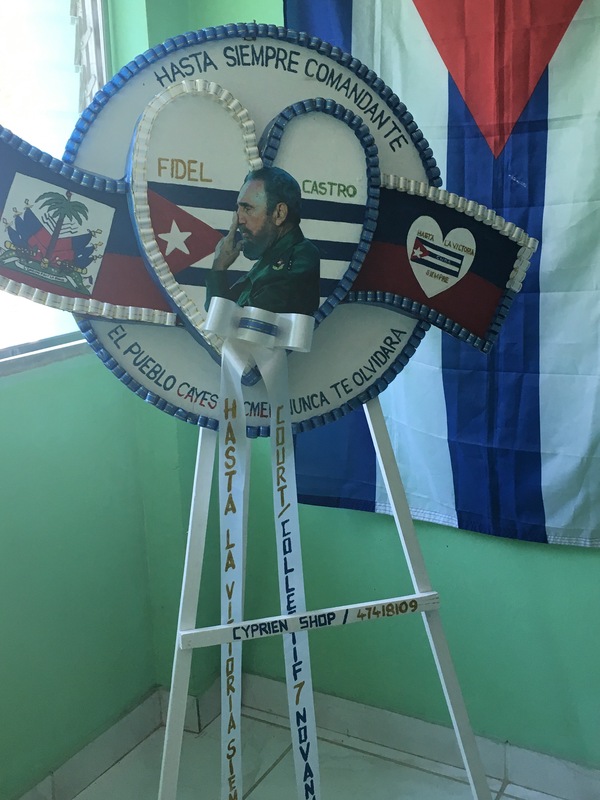 It was established after the 2010 earthquake, under the leadership of Fidel Castro, for whom the Cubans we met still have a profound respect. 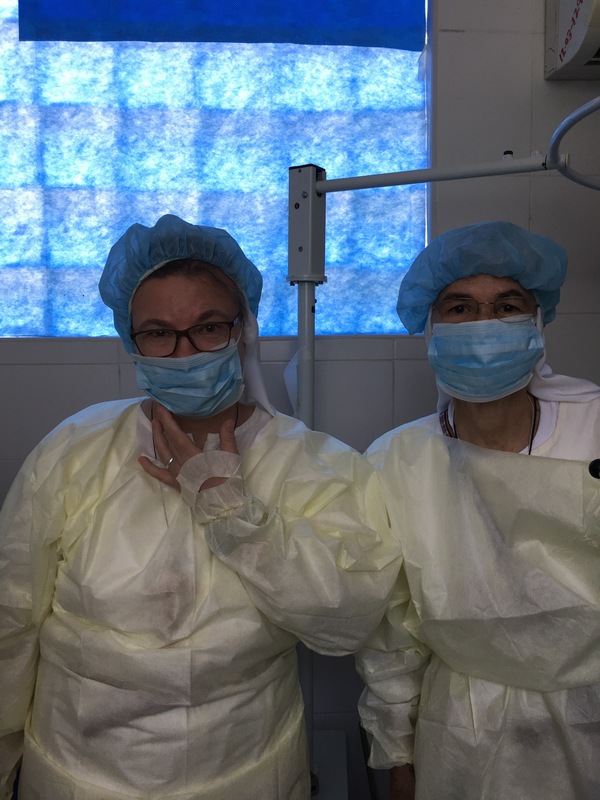 The doctors came to visit us; they had heard about the Klinik Manman Angela and the work we are doing throughout the Diocese. 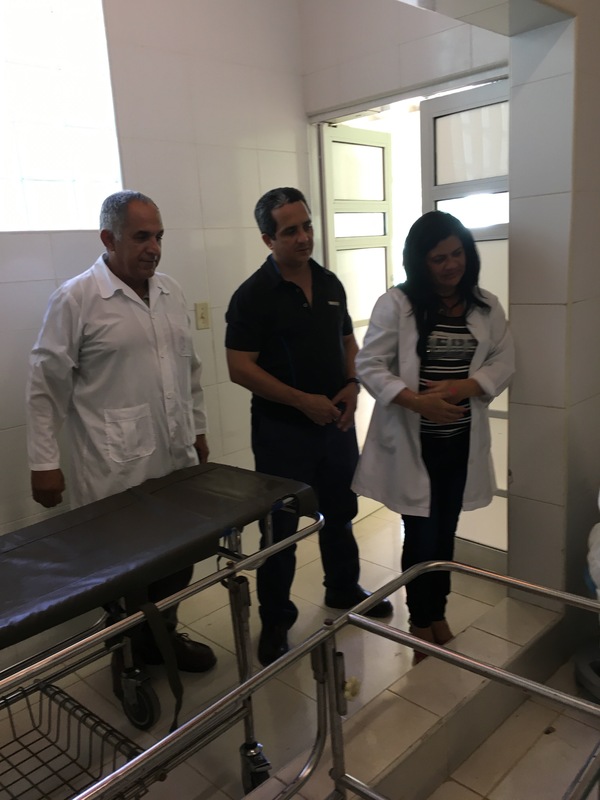 It was a wonderful meeting, and we were invited to visit the hospital to see what they are doing to help the poor. We were able to share some hospital supplies that we had received in our container, and they were grateful. We, too, were grateful for this meeting because we have been seeing a few woman who are pregnant and cannot afford any type of prenatal care. God brought the Cuban doctors to us. 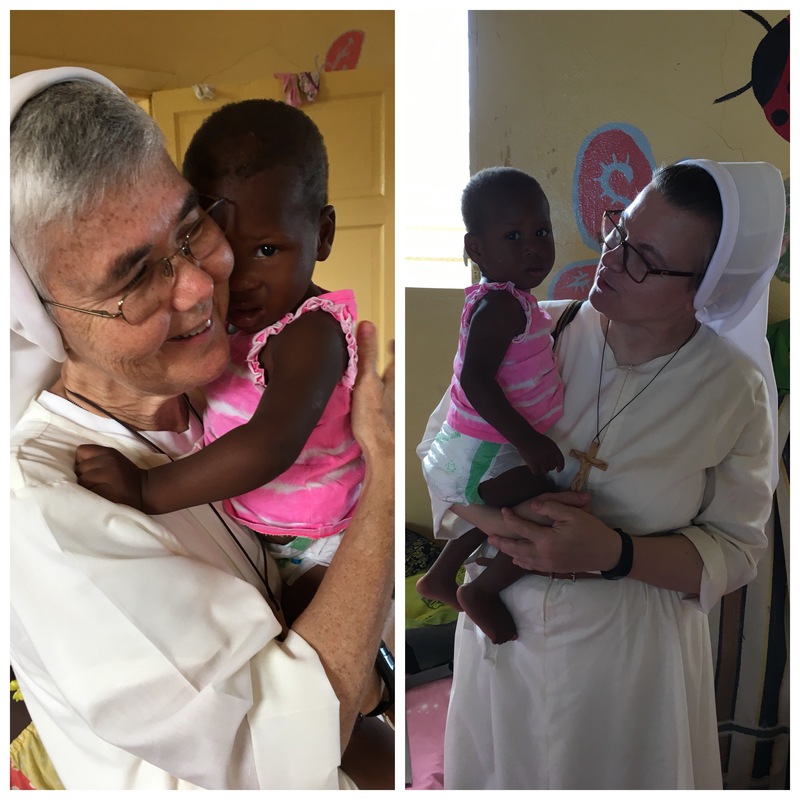 Another amazing Haitian miracle! 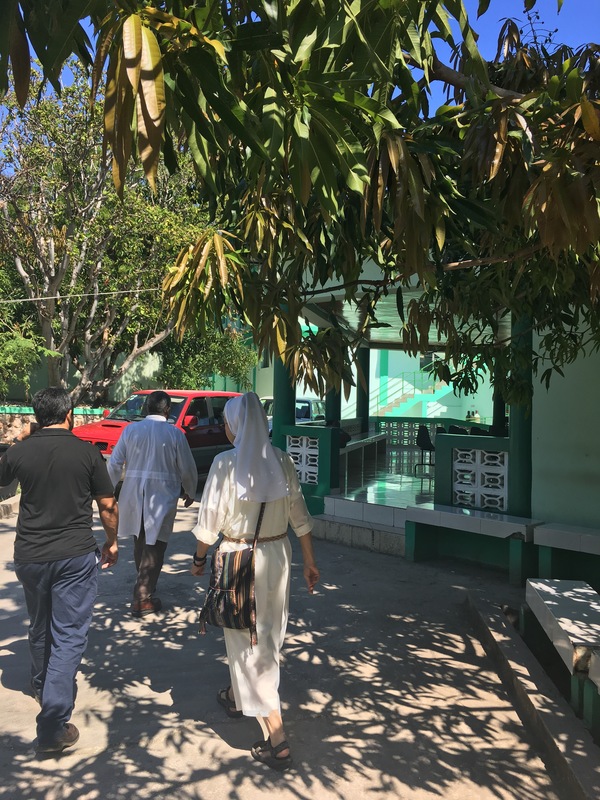 On Wednesday, March 29, we decided to visit the hospital and see for ourselves the work they do for the poor. They gave us a tour of the hospital. We even visited the operating room. 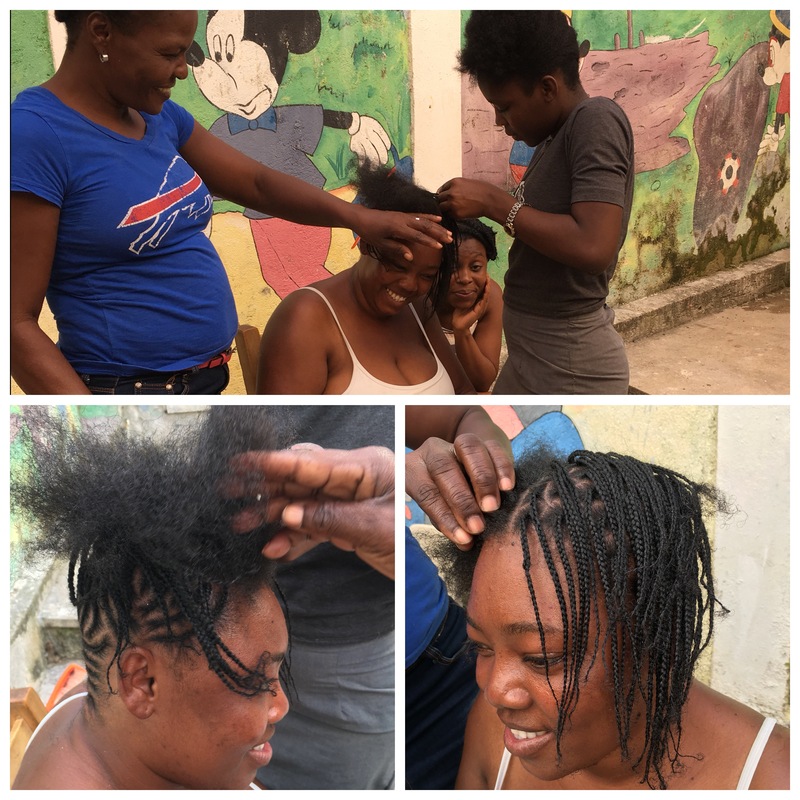 Our women and Haitian hair styling! Edline is a young single mother with three children and one on the way. She and her family come from the mountains. 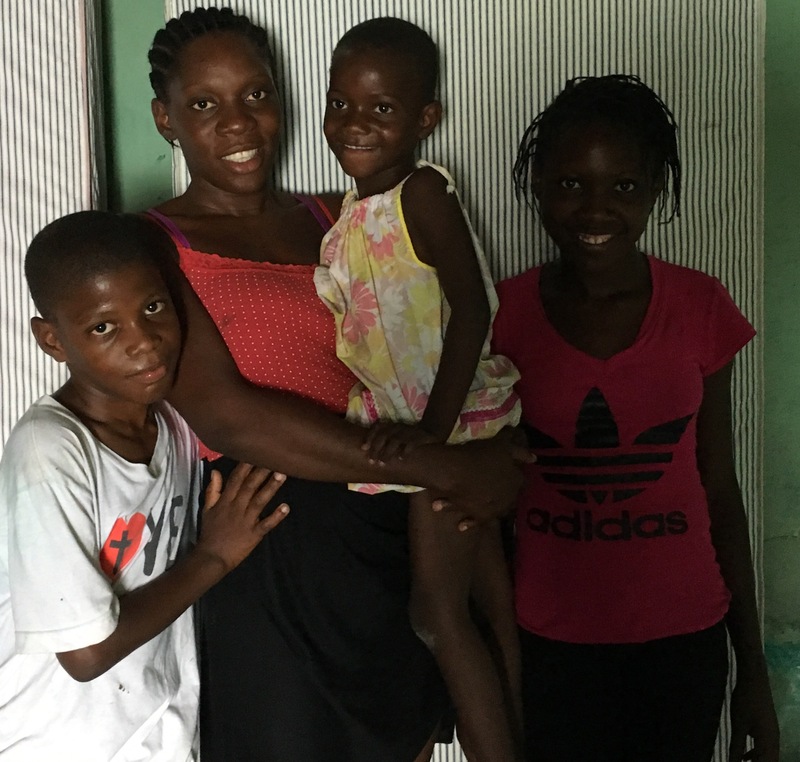 Edline arrived in Jacmel last Fall because she wanted her children to attend school. She did not have a place of her own so she lived with her cousin for a time. 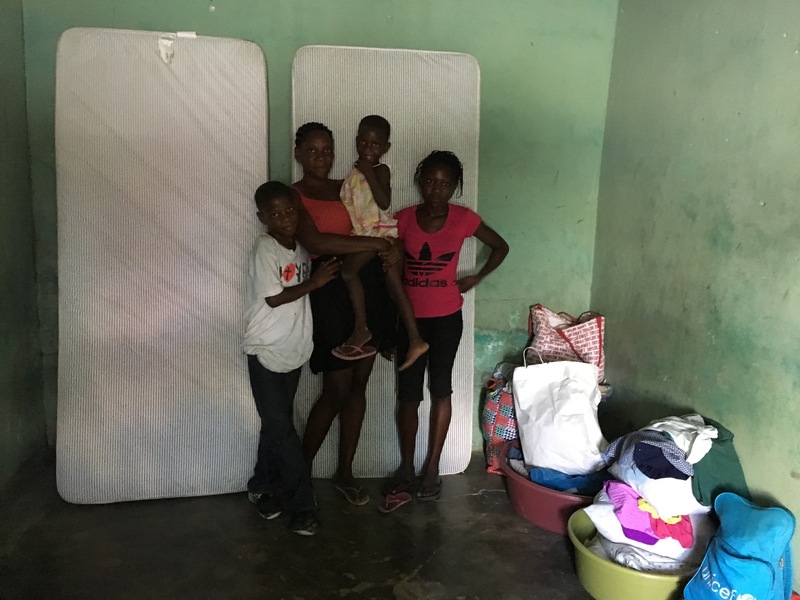 After awhile, they could no longer stay because none of these shacks are not large enough for eight people, nor do they have beds on which to sleep. It is very common here in Haiti for the poor to be sleeping on the floor on just a piece of cardboard. At the time we met Edline, she was suffering from stomach problems, especially in the morning. Well, we found out that she is pregnant. She is due in July. We have her now in a program that offers pre-natal care. We also have been blessed to help her have a place of her own for her family. Here is where our kids play when they are not on our compound. 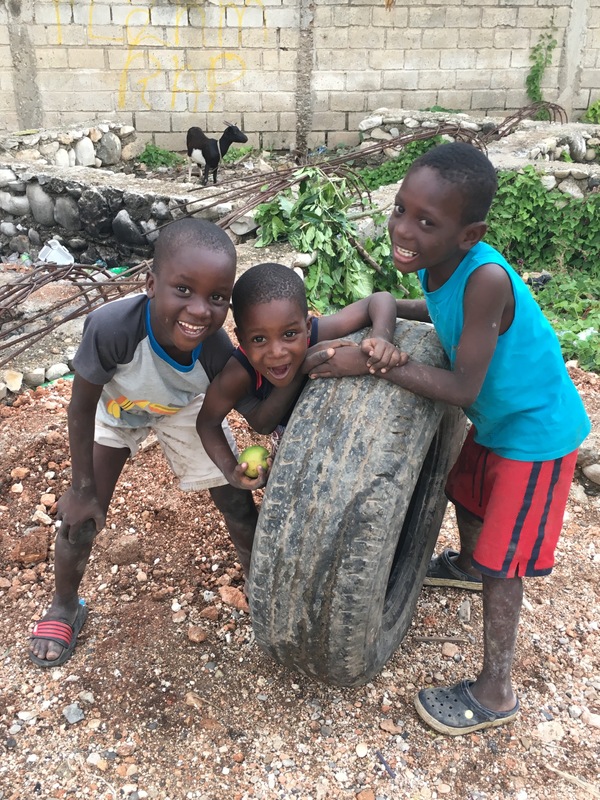 We look forward to the day when they can come to our new mission site, which is in the process of construction–to play and have fun! 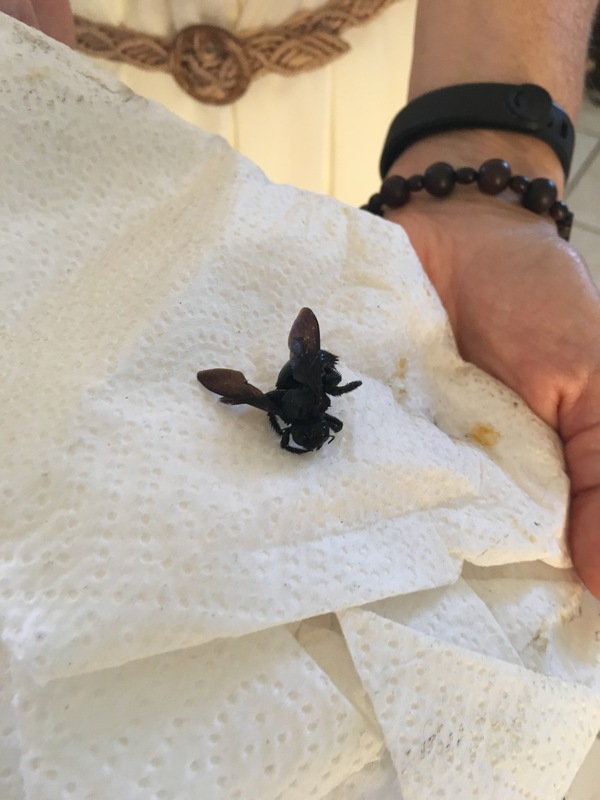 😮 Hornets in the kitchen. Do you remember Rosamita? 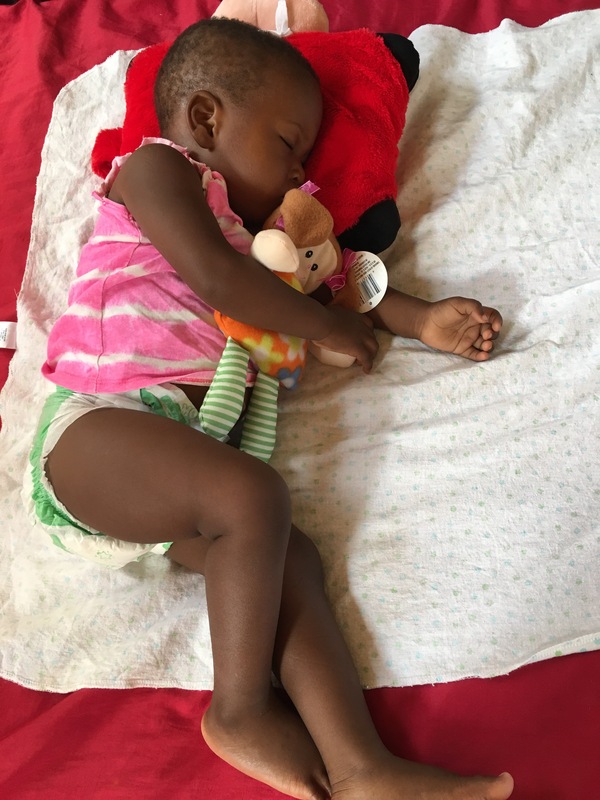 Last year in November, we needed to find a safe place for her to live and finally found Children’s Hope Home for her. We visited Rosamita before Christmas and wanted to see her again after the holidays. 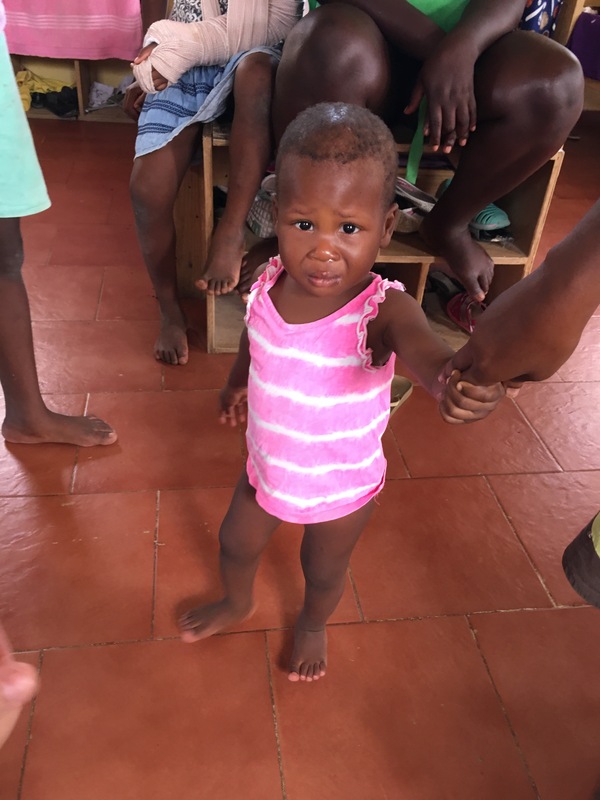 But you know how quickly time passes…well, today we went to see Rosamita and to bring some clothes, candy and toys to the children where she lives. She is walking and looks very healthy. She has everything she needs except parents. Rosamita’s parents do visit her every month. We are happy she is well cared for but sad it has to be this way. On Thursday, March 9, and on Monday, March 13, we had a new group of “Water Women” for formation. These women are very special because they are from a group of women who are sick with AIDS. 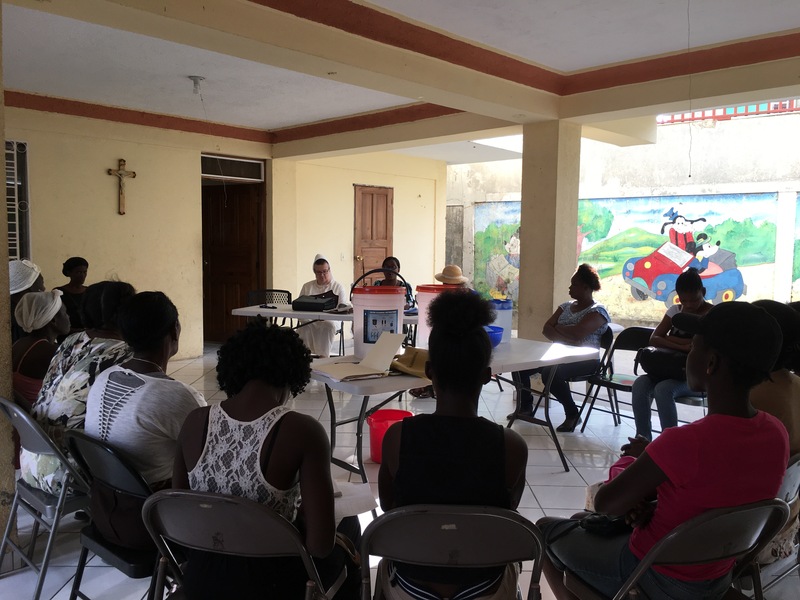 There is an organization that is led by a Haitian woman who tries to help these women physically, psychologically and spiritually. They are fragile in many ways but still wanted so much to become “Water Women” for their families and neighbors. We are now in the process of training two of our women, Madanm Omanie and Melinda, to be the coordinators of the “Water with Blessing” Project. It is a blessing to watch them lead the group. At the end of this month, we will have another 20 women enter the formation process to become “Water Woman,” in the “Water with Blessing” Project. 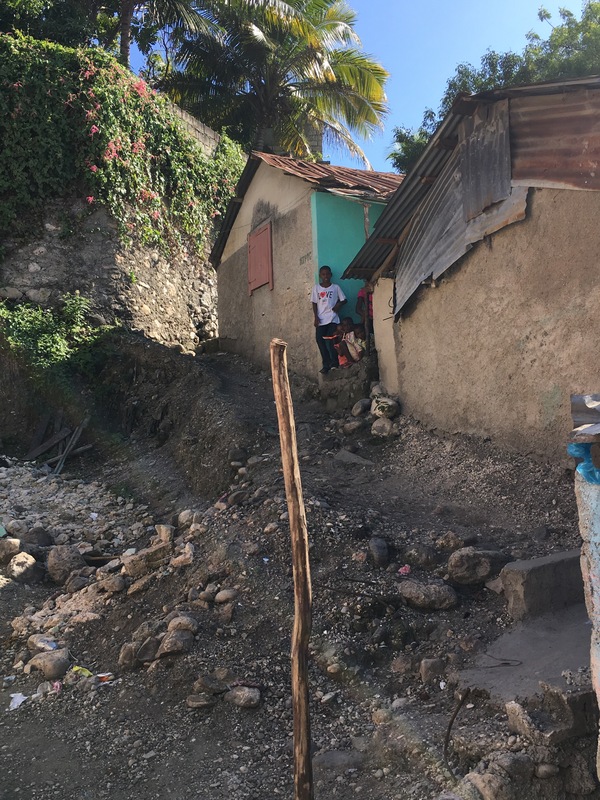 Clean water is such a need here in Haiti.